Summertime meals call for fresh flavors and lots of produce. At our recent parent’s day out, one of the couples brought a dish I fell in love with and had to figure out to make once I got home. For me, the combination of flavors made it the absolute perfect summer side dish. I hit up the farmer’s market to make sure I got the freshest produce I could find. Carpaccio is typically a dish that consists of raw meat that is sliced or pounded thin and served as an appetizer. 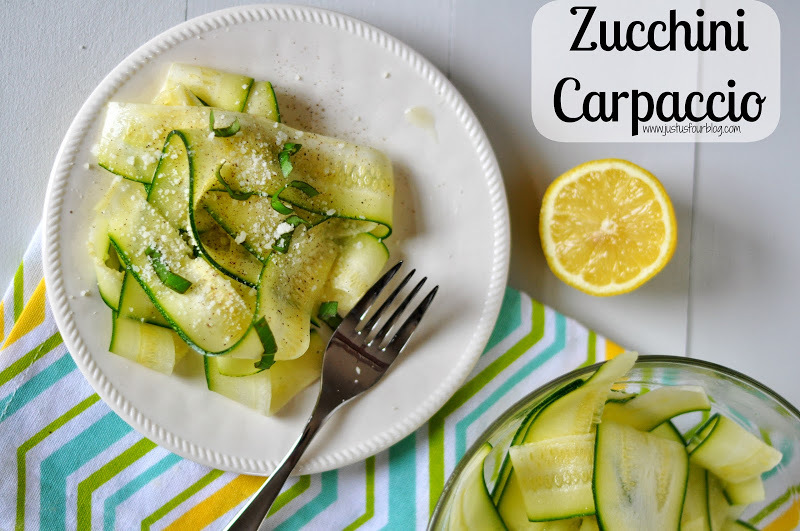 I took a little different approach though and sliced zucchini extremely thin to make my carpaccio. I did keep the traditional flavors of lemon juice, olive oil and pepper though.